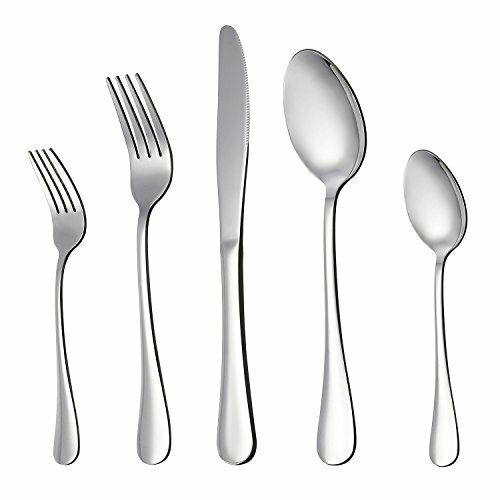 LIANYU 20-piece Stainless Steel Silverware Set, is a solid flatware set for someone who needs the basics, which has a proper thickness and weight to hold comfortably. It consists of 4 knives, 4 table forks, 4 salad forks, 4 table spoons and 4 tea spoons. With the high quality and basic design, this is Whether you need it for some special occasion, to fill in lost pieces of your original set, or if you just need your first set, this will cover you. Perfect for daily use, family gathering, party, camper, restaurant, hotel, wedding and more. Also a great gift for your friend and families’ new apartment. If you have any questions about this product by LIANYU, contact us by completing and submitting the form below. If you are looking for a specif part number, please include it with your message.